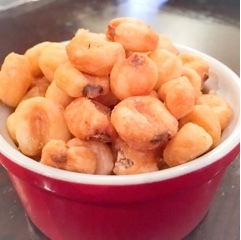 Corn is such a versatile vegetable: eaten simply off the cob; munched on after being popped; or crunched on after being deep fried as in the case of corn nuts. 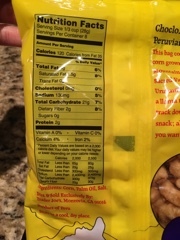 As much as I enjoy these hard corn snacks, there’s always those few kernels that are way too hard and you begin to worry about chipping a tooth. 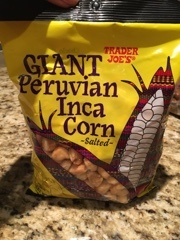 While scouring the snack aisle at Trader Joe’s, a bag of Giant Peruvian Inca Corn caught my eye. 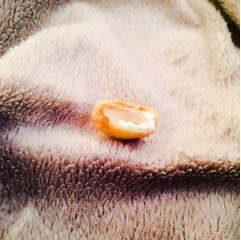 These babies are like corn nuts on steroids, each kernel equivalent to four of the normal ones. Of course, these aren’t the normal North American variety, but rather the choclo stock from the Incas, bred for their massive size. They still have that trade mark salty crunch, but the inside is hollow providing a crisper break. After being toasted the normal sweetness of the corn caramelizes and takes on a nutty flavour – hence corn nuts! What an addictive snack, that almost makes me want a cold malty beer.